21 Photos of Sarajevo railway station and 35 of the Bosnia Hercegovina Federation Rlys (ZFBH) traction depot at Rajlovac about 10km away. 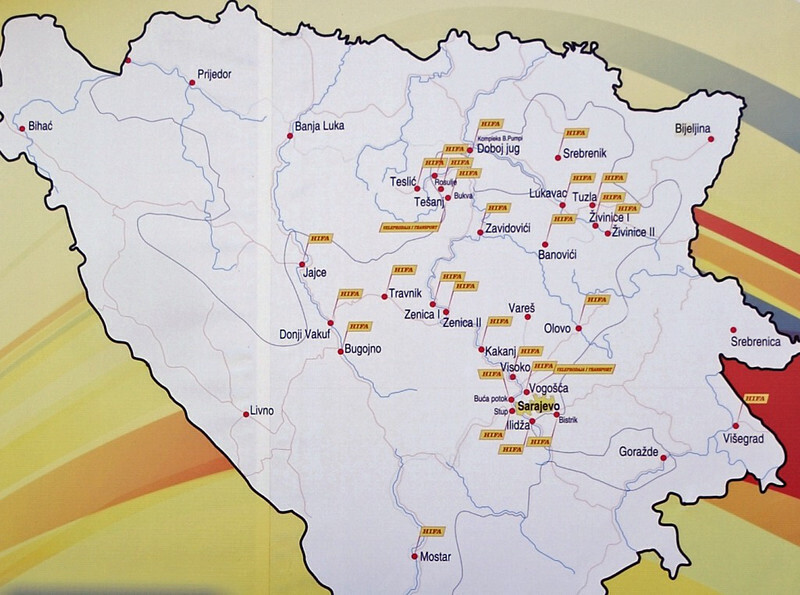 Bosnia map, Banovici, Bosnia-Hercegovina, Wed 11 June 2014. Map photographed on the wall of a Hifa filling station! It shows some of the places we visited, notably Tuzla and its vicinity, Sarajevo, and Visegrad at bottom right. Croatia is at top and left, Serbia is at right.